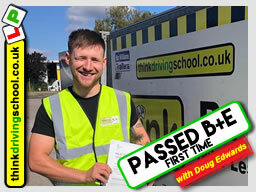 Think Driving School offer a variety of B+E Training Courses for individuals and Businesses to meet your requirements. 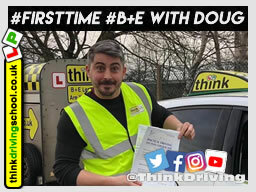 Our instructors are FULLY QUALIFIED ADI’s with years of experience of safe driving techniques in towing, loading and consideration to other road users. We are here to provide you with the necessary skills to keep you and your vehicle safe and provide you with useful advice, tips and confidence for life. 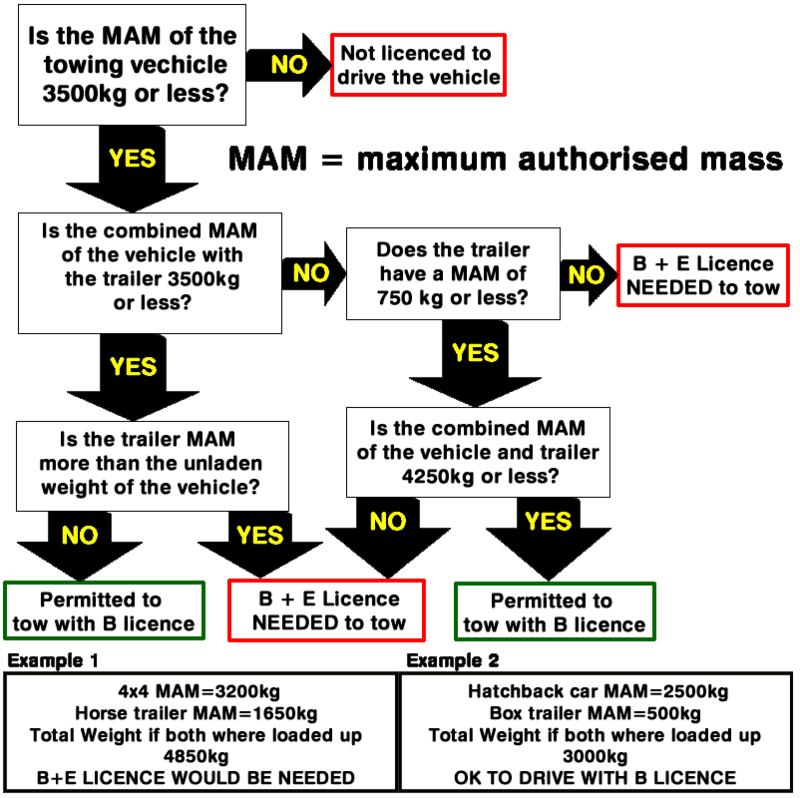 New legislation for car drivers wishing to tow trailers/caravans was introduced in 1997,for any driver who passed after 1997 you may need a separate licence to tow trailers. 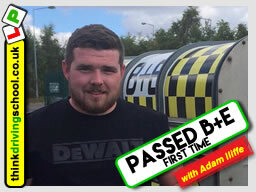 Your assessment includes 2.5 hours in car training, covering general safety advice – reversing, driving with a trailer, general awareness, trailer loading, vehicle checks, coupling and uncoupling. 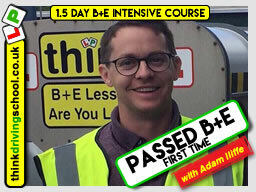 By the end of the lesson we will have assessed your level, started your training and at the end we will let you know from our experience roughly what you will need to go on and Pass your B+E. Conducted on a 1:1, or 2:1 basis of practical driving skills, reversing and uncoupling and re-coupling safely and practical advise. Due to diversity of loads carried we can only cover the theory of loading a trailer. Attention will be paid to awareness, planning, vehicle management, control and use of speed. Training remains flexible and progressive to suit the needs of the individual developing weaknesses with the aim of safe driving practices and excellent road craft. Training will be centred around 1 of our 3 training areas (Bordon, Guildford or Farnborough) which provide a safe off road area to conduct reversing exercises and uncoupling and re-coupling and varied road and traffic conditions. Our training vehicles vary to suit the requirements of the instructors but all comply with DVSA requirements to meet testing standards. We can provide a 1 and a half day course. The test will be conducted by a DVSA examiner at the nearest location to you. Prices (as above) do not include tests fees £115 per candidate for test on a week day. For lessons with trailers, or if you have any questions at all, please feel free to contact us.